When music publisher M. Witmark & Sons first set up shop at 51 West 28th Street in 1893, it was surrounded by houses of ill-repute where the notorious Satan’s Circus and Tenderloin District met. 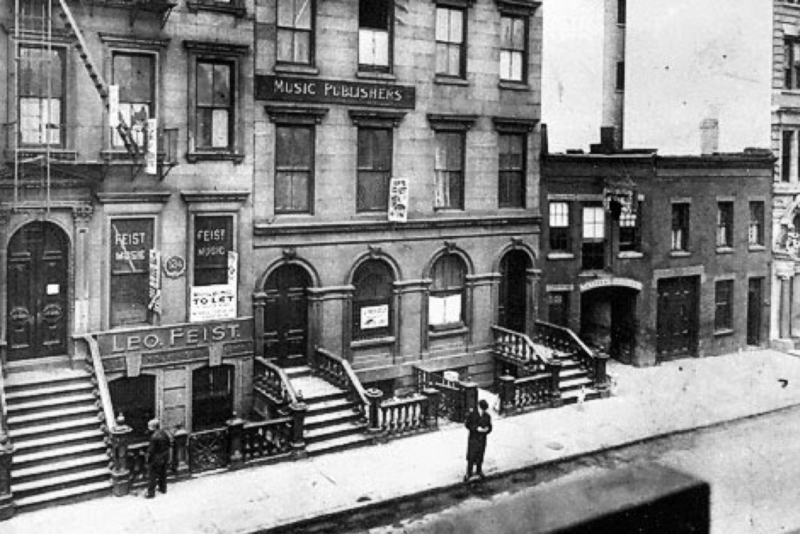 By 1907, thirty-seven other music publishers had followed suit, ushering in a new era of modern music consumption and galvanizing the neighborhood’s new reputation as the now legendary “Tin Pan Alley.” At its peak, George Gershwin was a regular in the songwriting rooms, and Irving Berlin crafted the iconic “God Bless America” on this street. Today, the publishers have all moved on, the echoes of piano music in the streets have fallen silent, and few reminders of Tin Pan Alley remain. 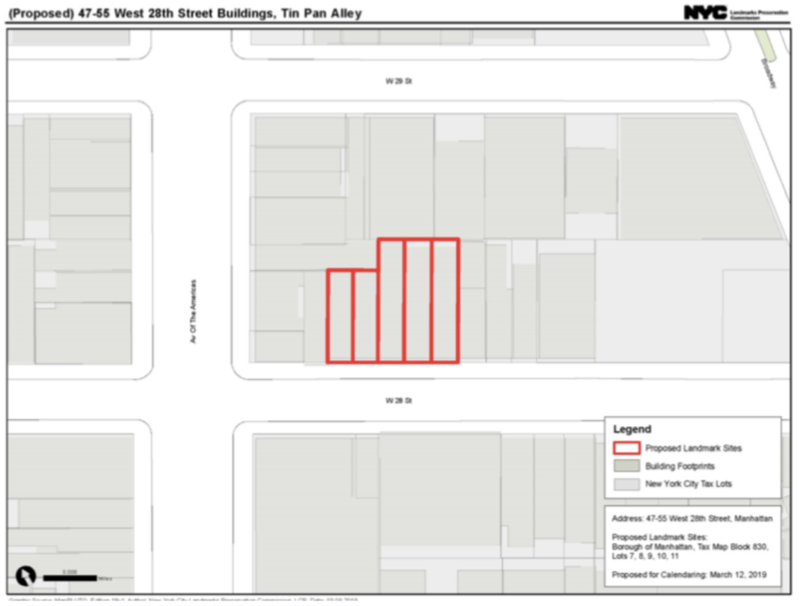 That’s why it’s welcome news to preservationists that last month, the Landmarks Preservation Commission calendared a group of five buildings on West 28th Street for approval as national landmarks as part of the original Tin Pan Alley—a major step forward in preserving this remarkable part of NoMad history. Dating back to the 1850s, the five buildings in question were originally built as residences. While the ground floors were long ago converted for retail use, the upper floors remain largely unchanged, qualifying them for historical status. 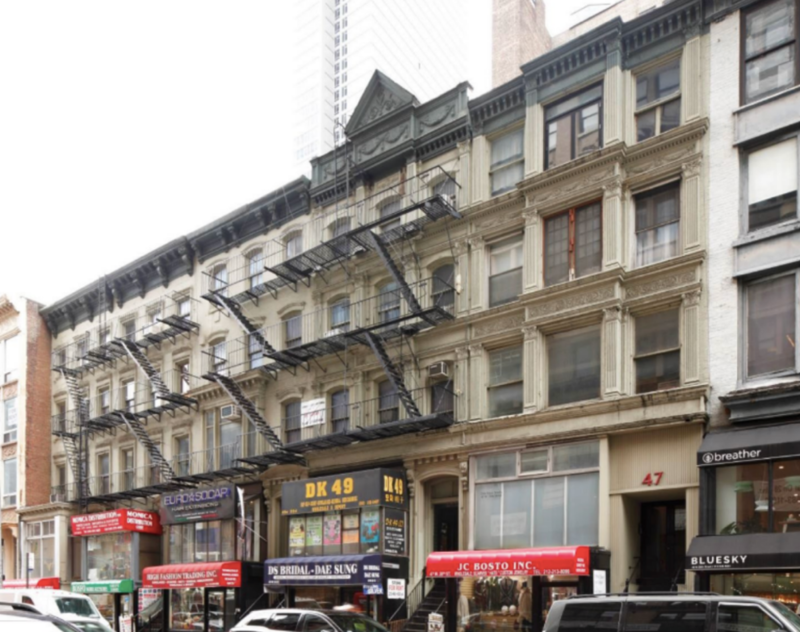 For years, preservationists have been lobbying for landmark status for the entire block of the former Tin Pan Alley. They began ramping up their efforts a couple of years ago when the buildings at 47-55 West 28th Street were purchased by a developer, sending signals that the buildings might be demolished. Calendaring is a first but very important step in the landmarking process. It indicates that the Landmarks Preservation Commission recognizes the historic value of the properties and the validity of the arguments in favor of preservation. Next steps include holding a public hearing on the matter as the LPC reviews arguments on both sides. If landmark designation is approved, the buildings’ owners would not be able to demolish the properties, and they would be prohibited from engaging in any construction or renovation that might alter the historic character of the structures. If the process goes through to full-status landmarking, a key part of Tin Pan Alley history will be preserved for generations to come. We will watch this process with interest.